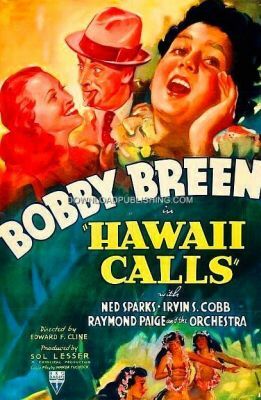 Billy Coulter (Bobby Breen), a Shoeshine Boy and Pua (Pua Lani), a Newspaper Boy, stowaway on an Ocean Liner on its way to Hawaii. Pua is from Hawaii and wants to go back home and Bobby goes with him. They are discovered and the Captain plans to give Pua to the Hawaii police and take Bobby back to the Mainland. With the ship in the harbor they jump ship and flee to Pua's relatives. Bobby Breen, a very talented actor and singer, sings many songs during the movie.